Need to get rid of your cat’s worm infestation? Here’s how to choose the best dewormer for your cat. Particularly if they spend time exploring the outdoors and hunting wild game, it’s likely that your cat will suffer from an internal parasite infestation at some time in their life. A wide range of internal parasites exist, and some of the most common are generally referred to as “worms”. The good side of the worm situation is the fact that worm infestations are easy to treat with the appropriate dewormer. Most dewormers are free from serious side effects, are relatively easy to administer, and are effective against parasites. The bad side of a worm infestation develops if you don’t catch it early enough. Left untreated, an intestinal worm infestation can lead to serious consequences. If the worm parasitizes your cat’s body for long enough, the infestation can lead to anemia, malnutrition, and, particularly among small, weak kittens, could end in death. And worms don’t only affect cats and dogs – several of the parasites that tend to attack cats are zoonotic, meaning that they can be transmitted to humans. For all of the above reasons, it’s crucial to identify and treat the worm infestation as soon as possible. First of all, identify the infestation. Diarrhea – almost all types of worms can cause diarrhea. Vomiting – roundworms will sometimes appear in the vomit. 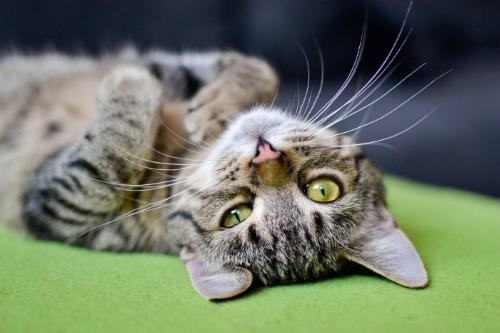 Determine what type of worms are infesting your cat’s body. 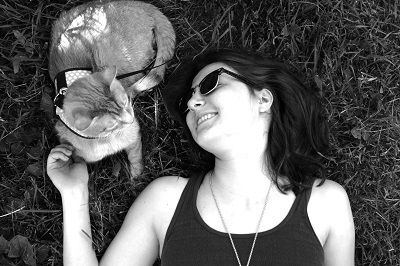 The most common types of worms affecting cats are tapeworms, roundworms, and hookworms. These flat, long worms resemble a strip of tape. They’re segmented and may appear as wiggling grains of rice in your cat’s coat. Cats get them through contact with an infected animal, so those who eat wild prey are at a particularly high risk. Fleas are also common tapeworm carriers. These are tiny worms that hook onto your cat’s intestinal walls and feed off of their blood. Because this can cause anemia, hookworms are a particularly menacing parasite for kittens and weakened cats. Cats can become infected when they eat a hookworm host or when the worms burrow through their skin. Roundworms are passed through the feces of an infected animal and can survive in their host for years. Your cat can get them in a number of ways – by eating an infected animal, eating the eggs, or, in the case of kittens, in the uterus or through their mother’s milk. Because kittens can be infected long after the mother’s roundworm infestation cleared up, it’s safe to assume all kittens have roundworms. 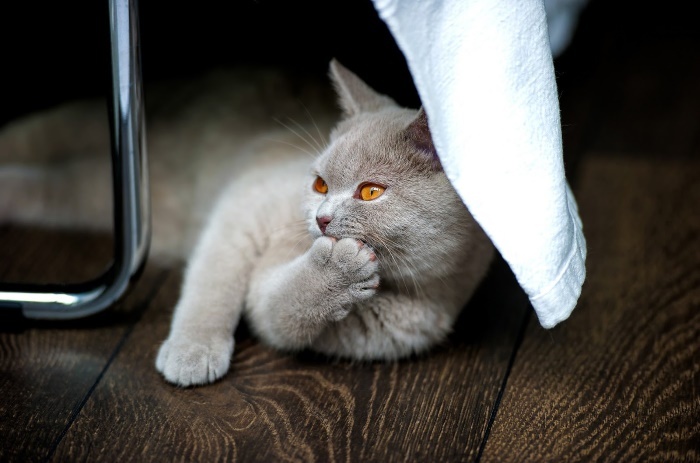 Different treatments are suited to different types of worms, so it’s important to identify exactly which type of worms your cat is contending with. It’s difficult to identify what type of worm is afflicting your cat at home. If you’re not sure, you can use a broad spectrum dewormer, but beware that these come with a higher incidence of side effects compared to worm-specific products. Instead of using a broad spectrum dewormer, which could negatively affect your cat, it’s a good idea to consult with your veterinarian to put a name to the infestation. Find a dewormer appropriate for your cat’s condition. Dewormers are available both over-the-counter and by prescription. They may be oral or topical. Oral medications come in tablets, liquids, and pastes so that you can easily administer the medication in the manner most comfortable for your cat. This article will deal exclusively with over-the-counter dewormers. This drug inhibits the tapeworms’ ability to digest nutrients. Besides helping to prevent your cat from becoming malnourished, this starves the tapeworms and makes them eventually disintegrate. Praziquantel seldom causes side effects, but some cats experience excessive salivation or diarrhea after using it. This chemical paralyzes worms. Since roundworms and hookworms grip onto the intestinal wall to survive, this paralysis is a death sentence. They fall off of your cat’s intestinal wall and pass out through their stool. Pyrantel pamoate is safe for cats and seldom causes side effects. Vomiting occasionally occurs, but this reaction is rare. Like pyrantel pamoate, piperazine paralyzes roundworms, but isn’t effective against hookworms. It’s important to ensure that your cat receives the correct dose of this medication. Overdoses can cause nausea, vomiting, and muscle tremors. Several natural or herbal remedies are recommended as alternatives to traditional deworming medications. None of them are as reliable as the chemical medications, but they’re worth investigating. This fine natural powder is a safe organic insecticide often used in gardens to kill ants and other pests. It’s also useful for killing fleas. Its effectiveness as an insecticide has caused some to recommend it for treating internal parasite infestations as well. If diatomaceous earth worked as well inside of your cat as it does to kill insects externally, we’d have a fantastic natural dewormer on our hands. Problematically, there’s no indication that diatomaceous earth is an effective dewormer at all. The few studies on the effect of DE on internal parasites have failed to demonstrate any consistent deworming effect. And you don’t need to look at a study to understand the problem with diatomaceous earth for internal parasites. Diatomaceous earth works like tiny shards of glass to physically destroy insects. In the moist environment of your cat’s GI tract, the diatomaceous earth can’t do its job. Some natural dewormers combine herbs and other ingredients purported to create an intestinal environment that’s unfriendly to parasites. These dewormers often include wormwood, black walnut, and clove. Cucurbitin is an amino acid is naturally found in pumpkin seeds and can paralyze parasites. Some recommend grinding up pumpkin seeds and mixing them into your cat’s food as a natural dewormer. These trusted tablets are made with 23mg praziquantel per tablet and are designed to kill tapeworms. You can crush them into your cat’s food, or, if your cat doesn’t like the taste, you may prefer to administer them whole. Praziquantel is a safe, well-known treatment for tapeworms, and according to customer reviews, these tablets are highly effective. They’re also low-priced, making them accessible to most consumers. 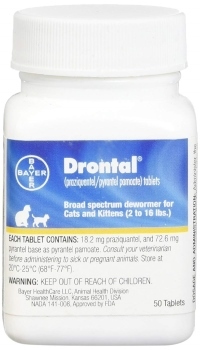 Although broad spectrum dewormers are generally considered less-than-ideal due to the increased likelihood of side effects, Drontal is a well-respected medication that’s regularly used by veterinarians. It’s a trusted product with a good reputation. 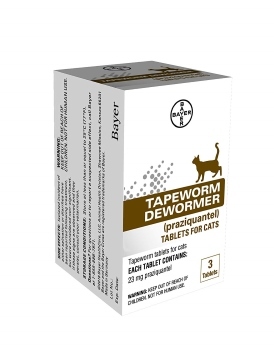 The medication combines praziquantel and pyrantel pamoate, which effectively rid your cat of tapeworms, roundworms, and hookworms, which are three of the most common intestinal worms found in cats. Compared to liquid medications, these tablets are a little bit challenging to administer. You’ll need to place the tablet into a pill pocket or directly in your cat’s mouth. Each tablet is scored into quarters to make it easy to provide the correct dose. This low-cost piperazine-based liquid dewormer is easy to administer and effective against roundworms. Each teaspoon contains 250mg of piperazine, which paralyzes roundworms and allows them to pass through your cat’s body and into the litter box where they belong. As with any piperazine medication, it’s important to measure out the correct dose to ensure that your cat doesn’t experience nausea, vomiting, and muscle tremors. To make the formula appealing to cats, the liquid contains added flavor and sugar, while caramel color makes it visually appealing to humans. This is a low-cost solution for your cat’s roundworm infestation and is generally effective. Each teaspoon of this medication contains 250mg piperazine as the active ingredient. 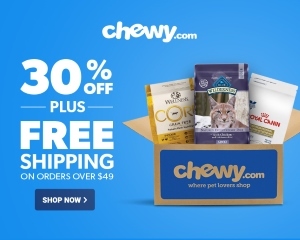 In addition to the piperazine compound, the medication contains added flavor, color, and sugar, making it appealing to the human eye and palatable for your cat. This alternative dewormer is made from a blend of wormwood, black walnut, black seed, fennel seed, sage leaf, and papaya leaf. These traditional herbs have been used throughout history to treat fungal infections as well as parasites. They might also be able to heal the digestive tract, helping your cat to feel better during and after a parasite infestation. If you don’t exactly know what type of parasites your cat has, this broad-spectrum treatment may work for you. According to the company, the formula is effective against pinworm, roundworm, giardia, tapeworm, whipworm, and ringworm. 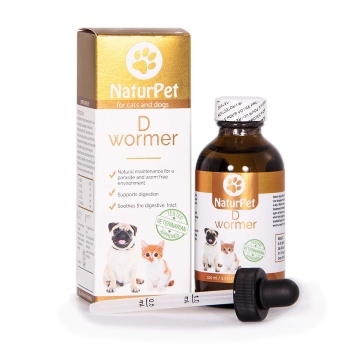 Naturpet D Wormer is a liquid deworming product. Each bottle comes with a built-in dropper to allow you to add the treatment into your cat’s food.